Who does not like to sip into a full mug of coffee early in the morning? Yes, this practiced has turned into a habit for millions of people around the world who just take it merely as an energy generator and making them fresh for the day. 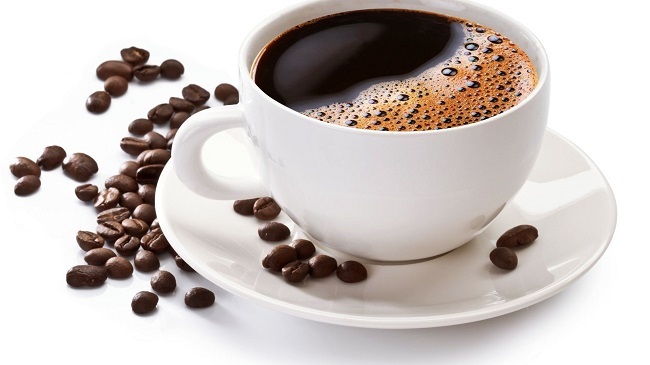 But, do you know the amazing health benefits of drinking coffee every day? When you will know about these health benefits of coffee, your regular taste will be doubled and you will feel fresh more than ever. The ingredients of coffee make you feel more energetic removing the tiredness during a tiresome day. The caffeine, which is also known as psychoactive substance, makes the body hormones active stretching the absorbed bloodstream to the brain. After some body chemistry, this caffeine increases the neurons actions in the brain that drive the person to work with more energy. According to many, coffee also controls human being’s brain function by sharpening memory, lessening mood swing frequency, increasing energy levels and reaction tendency. You may take your extra fat as a burden and worry about loosening it by buying and applying various market things. But, do you know that fact that the things you buy from the market with thousands of dollar contain caffeine that you can get without much cost in your coffee mug? It has been proven that caffeine, a natural substance, has been using over the years to burn the body fat. It is one of the unknown health benefits of drinking coffee every day. In studies, it is seen that the metabolic rate that caffeine is able to boost ranges from 3-11% that is equal to any other standard method of burning body fat. When you drink a mug of coffee, the caffeine sends the signals to the fat cells in the body that gradually breaks down into different fatty acids increasing the work performance of these cells. Studies show that this ratio ranges from 11-12%. It is so suggestive to take coffee half an hour before you go to the gym. Around 300 million people in the world are currently suffering from type II diabetes. The people who drink coffee regularly have much lower risk of being affected by the type II diabetes than the people who do not have this habit. This risk can range from 23-50%. One of the best health benefits of drinking coffee is it saves you from many dangerous diseases including Alzheimer and dementia. Though there is no specific known reason of these diseases, but research has shown that people in their 65 years old suffer from these diseases. However, a healthy diet and habit can cure you from being affected by these. Studies have proven that people who drink coffee regularly have minimum 65% lower risk of being affected by Alzheimer that people who do not drink it regularly. After Alzheimer, it is Parkinson’s disease that is most common in neurodegenerative disease category. While unlike Alzheimer the cure of Parkinson’s disease has not been identified yet, but drinking coffee regularly may lower this risk of 32-60%. Liver is one of the most important functional parts in the body. There are many common diseases that affect liver directly including fatty liver disease and hepatitis. The world is experiencing day by day a lots deaths resulting in these diseases. People who have a regular habit of drinking coffee, let’s say 5 cups in a day, face these diseases and the probability of being affected by the above may lower up to 80% than the others. Drinking coffee can fight against depression and any inner ache. The caffeine has entered into the brain and helps the neurons to be active that makes you happy in turn. It is one of the most important health benefits of drinking coffee. The studies have found that people who drink coffee regularly have experienced a tendency that that have assured as the increase of their intelligence. Think, when do you do generally prefer a cup of coffee? In most cases, when you feel tired or lazy, you drink it. In such way, coffee increases your working ability and thinking power. Such, you sharpen your intelligence and it naturally increases. Coffee, once you drink it, you will get lots of benefits including health benefits of drinking coffee every day. The benefits you may not recognize generally but inchmeal it will be the great support for your body and mental health. So, drink coffee and stay healthy!